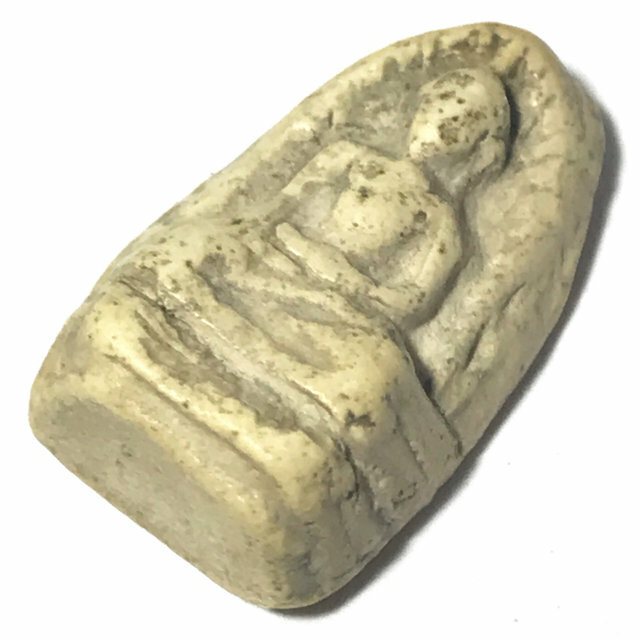 Somdej Pra Rod Kru Wat Tap Khaw, 'Nuea Graeng' (stone hard), small Benjapakee Votive Tablet, with smooth subtle features, and the classic aspects of a true Pra Niyom Master Class amulet of the Pra Kru Hiding Place Amulet Category. The Pra Nang Paya was found to have various Pim in the hiding place, from different eras. 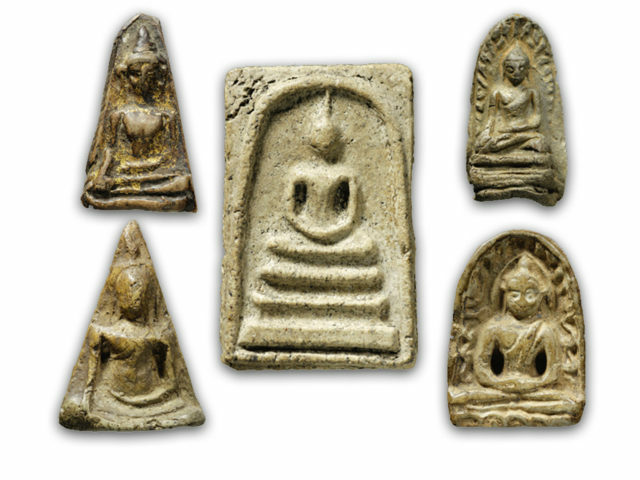 This exhibit has the visible presence of Muan Sarn Sacred Powders used by Somdej Pra Puttajarn (Dto) Prohmrangsri, and Ajarn Saeng (Wat Chonla Mani Khant), and are identical in characteristics to those found in the Pra Somdej Wat Rakang Kositaram of Somdej Dto, and are classified within the pantheon of amulets found in the Kru which are attributed to him and Ajarn Saeng (Mentor of Somdej Pra Puttajarn (Dto) Prohmrangsri in the Wicha Pra Somdej).